Bill Molthen began seriously thinking about making sculpture when he was in his mid-forties working at a fabrication shop in Los Angeles. 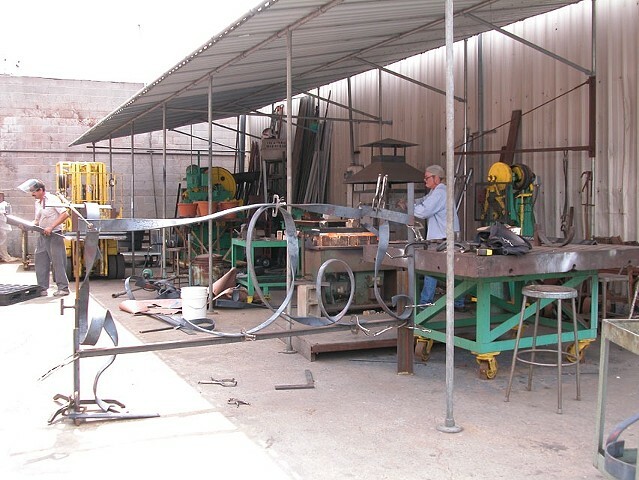 He had worked in Seattle in the 80s and in Los Angeles in the 90s as a blacksmith in various metal fabrication shops, and for several architecture firms in design development, detailing, and construction documentation. Prior to that he had spent several years in the Navy, worked in the Northwest woods and in construction, studied engineering, and acquired a degree in architecture in Oregon in 1982. Bill grew up overseas  Spain in the late 50s and Thailand in the 60s. All of these experiences are germane to who he is and how he perceives things. I am a self-taught artist with a background in architecture and blacksmithing, and I have a lifelong interest in drawing as a means to understanding. My sculptural interests lie in the expression of form, scale and motion  in different materials, primarily steel. My first studies were made by cutting patterns into steel plate and manipulating these flat patterns into three-dimensional forms according to a predetermined set of rules. Bill currently lives and works in Austin, Texas, with his wife Susan and their two cats, Frixie Pie and Ponkie Girl.